Lily Suite - Spacious Apartment for a family get-away in the tropics! 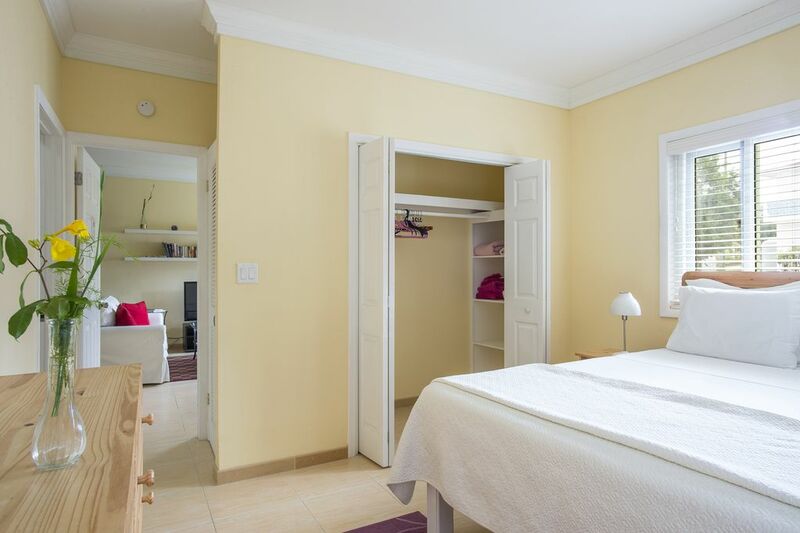 Enjoy home away from home in this clean, spacious and elegant suite in the quiet community of South Palmetto Point, Eleuthera. Every amenity is considered and the location is not far removed from anything - beaches, restaurants, stores, activities.. So welcome to the beautiful " Lily" Apartment at Sir Charles Suites. This well-maintained building, nestled on beautifully landscaped grounds, houses three suites including "Lily." Painted a bright tropical green, the welcoming feel of the exterior is extended indoors. Well appointed, tastefully decorated with a comfy, cozy, clean quiet "at home touch," every amenity is considered. The house is situated in the small residential community of South Palmetto Point but not far from removed from anything. Seaside Beach where I grew up is only a 5-7 minute walk away and the beautiful Atlantic Beach a short 5 minute drive away. The suite is housed in Sir Charles House which comprises three suites and is immaculately kept. Each bedroom has its own en-suite full bath and the unit is also complete with a full kitchen and living and dining space. For your in-house entertainment, the living room is also complimented with a 42" flat screen TV and the master bedroom with a 32" wall-mounted TV. Wireless Internet is provided and ceiling fans and split AC units are in every room. Additionally, the unit boasts its own stacked washer/dryer and separate driveway. The King bedroom is convertible to a twin bedroom upon request. Beach towels, chairs, coolers and umbrellas are provided and a shared deck (used by other apartment renters) allows for relaxing or lounging in the warm sun or simply cooking up something succulent on the large propane operated grill, which is available upon request. Kayaks are also available for daily rental. We have tried to see to every amenity. Mama, my brother Dale and I will see to your needs during your stay; this is just our way to make you feel at home with family, island style. Additional suites are also available, one and two bedroom. See separate listings for Tropical Sunflower and Island Butterfly suites. Extremely clean and spacious! Arlene was very friendly as well as accommodating, highly recommend!